A number of experimental and broadcast pre World War II television systems were tested. The first ones were mechanical based (mechanical television) and of very low resolution, sometimes with no sound. 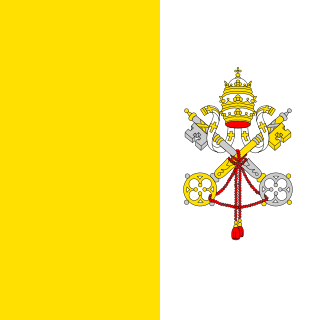 Later TV systems were electronic (electronic television). Germany 1937: 441 lines, 25 frame/s, line frequency 11025 Hz. Vision 46.0 MHz Sound 43.2 MHz. Reichspost was the name of the postal service of Germany from 1866 to 1945. Electronic TV (343 lines) was under development and was publicly demonstrated during the Radio Exhibition in Warsaw in August 1939, regular operations planned to start at the beginning of 1940, work stopped because of the outbreak of World War II. UK (1936, EMI): 405 lines / 50 Hz. Used by the BBC Alexandra Palace television station initially from November 1936 to 1939 and then 1946 to 1985 (interruption due to 2nd World War). The EMI 405 lines system was the first to have an ITU System Letter Designation, and is known as System A. As the EMI system predates PAL, there is no PAL designator in the ITU television system table. USA 1936: 343 lines; limited public demonstrations in New York City (RCA) and Philadelphia (Philco). Field tests in Los Angeles used various line systems, but adopted RCA's 441 lines system by 1938. USA 1938-9: First TV receivers sold on a very limited basis, mostly in New York. Manufacturers included RCA, General Electric, DuMont, and Andrea. USA 1937-1941: 441 lines @ 30 f.p.s. (RCA) and 605 lines (Proposed by Philco). Standard-definition television is a television system which uses a resolution that is not considered to be either high or enhanced definition. The two common SDTV signal types are 576i, with 576 interlaced lines of resolution, derived from the European-developed PAL and SECAM systems; 480i based on the American NTSC system. SDTV and high-definition television (HDTV) are the two categories of display formats for digital television (DTV) transmissions. Terrestrial television systems are encoding or formatting standards for the transmission and reception of terrestrial television signals. 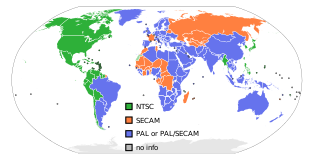 There were three main analogue television systems in use around the world until the late 2010s (expected): NTSC, PAL, and SECAM. Now in digital terrestrial television (DTT), there are four main systems in use around the world: ATSC, DVB, ISDB and DTMB. Anamorphic widescreen is a process by which a comparatively wide widescreen image is horizontally compressed to fit into a storage medium with a narrower aspect ratio, reducing the horizontal resolution of the image while keeping its full original vertical resolution. Compatible play-back equipment can then expand the horizontal dimension to show the original widescreen image. This is typically used to allow one to store widescreen images on a medium that was originally intended for a narrower ratio, while using as much of the frame – and therefore recording as much detail – as possible. The refresh rate is the number of times in a second that a display hardware updates its buffer. This is distinct from the measure of frame rate. The refresh rate includes the repeated drawing of identical frames, while frame rate measures how often a video source can feed an entire frame of new data to a display. 720p is a progressive HDTV signal format with 720 horizontal lines and an aspect ratio (AR) of 16:9, normally known as widescreen HDTV (1.78:1). All major HDTV broadcasting standards include a 720p format, which has a resolution of 1280×720; however, there are other formats, including HDV Playback and AVCHD for camcorders, that use 720p images with the standard HDTV resolution. The frame rate is standards-dependent, and for conventional broadcasting appears in 50 progressive frames per second in former PAL/SECAM countries, and 59.94 frames per second in former NTSC countries. 1080i is an abbreviation referring to a combination of frame resolution and scan type, used in high-definition television (HDTV) and high-definition video. The number "1080" refers to the number of horizontal lines on the screen. The "i" is an abbreviation for "interlaced"; this indicates that only the odd lines, then the even lines of each frame are drawn alternately, so that only half the number of actual image frames are used to produce video. A related display resolution is 1080p, which also has 1080 lines of resolution; the "p" refers to progressive scan, which indicates that the lines of resolution for each frame are "drawn" in on the screen sequence. 576i is a standard-definition video mode originally used for broadcast television in most countries of the world where the utility frequency for electric power distribution is 50 Hz. Because of its close association with the color encoding system, it is often referred to as simply PAL, PAL/SECAM or SECAM when compared to its 60 Hz NTSC-color-encoded counterpart, 480i. In digital applications it is usually referred to as "576i"; in analogue contexts it is often called "625 lines", and the aspect ratio is usually 4:3 in analogue transmission and 16:9 in digital transmission. Overscan is a behaviour in certain television sets, in which part of the input picture is shown outside of the visible bounds of the screen. It exists because cathode-ray tube (CRT) television sets from the 1930s through to the early 2000s were highly variable in how the video image was positioned within the borders of the screen. 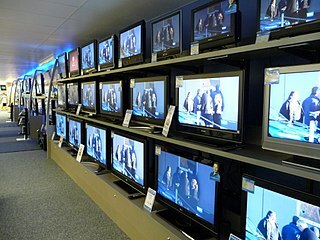 It then became common practice to have video signals with black edges around the picture, which the television was meant to discard in this way. 21:9 is an approximation of several ultra-widescreen aspect ratios, designed to show films recorded in CinemaScope of 2.35:1 or the modern anamorphic format of 2.39:1. The main benefit of this screen ratio, compared to the more common 16:9, is the absence of the black bars at the top and bottom of the screen when viewing content in this format, and a constant display height when displaying other content with a lesser aspect ratio.